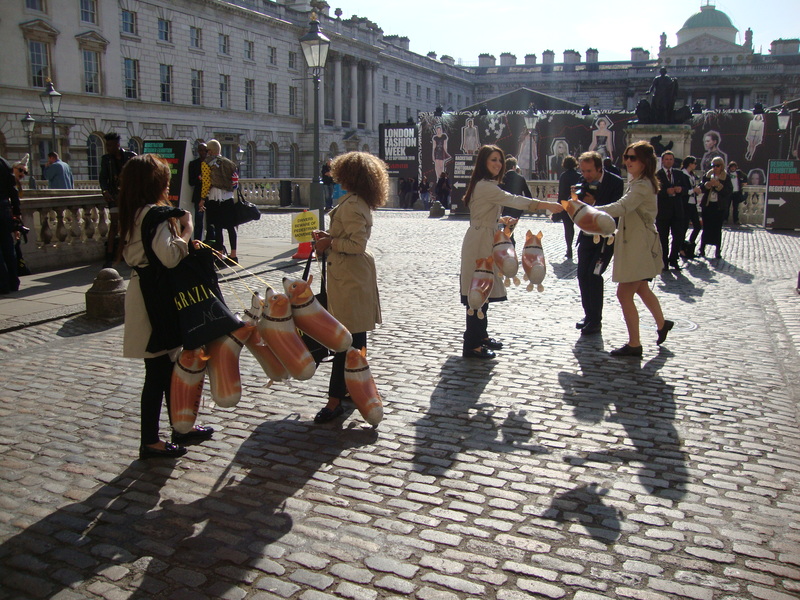 For four seasons Highjam has worked with Grazia to create excitement around London Fashion Week. Each year our objective is to ensure that Grazia are at the centre of attention and showcased as the key media brand across the four day international fashion event. 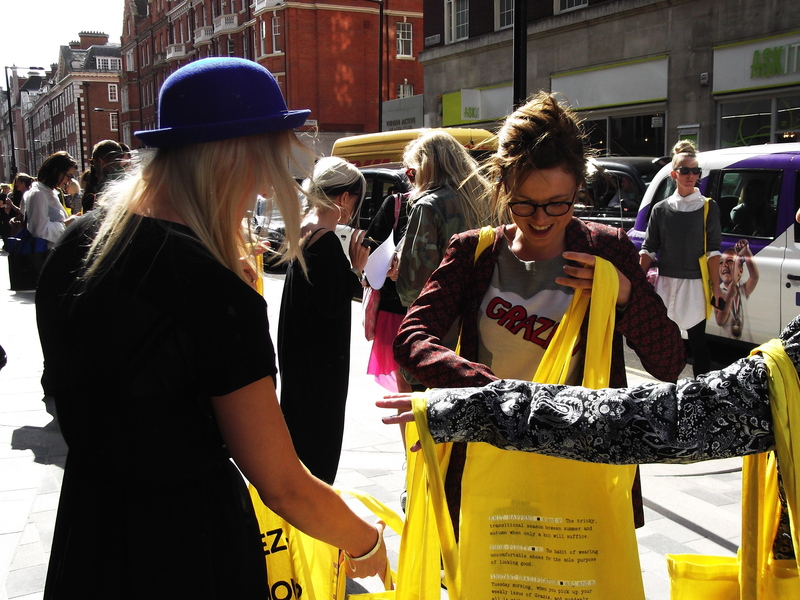 We cast and style the team in close collaboration with Grazia’s editorial team to match their very specific fashion brief and source on brand eye-catching branded merchandise to extend campaign’s reach and life post activity. At the shows our teams interact with an average of 3,000 fashionistas who go on to share their experience with on average a further 6 people. Generating a total reach of 21,000 impressions per Fashion Week. Online coverage via our Grazia stunts is also created via high profile bloggers, key industry press and consumer influencers sharing their experiences online and via social media, driving further amplification via their followers.